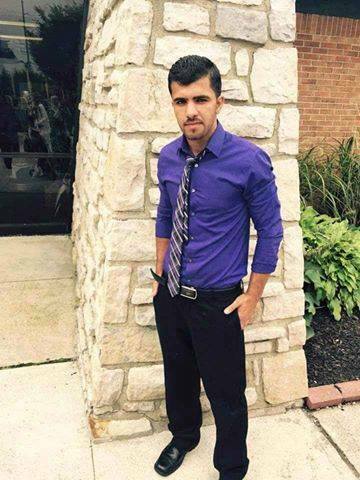 The U.S. government has yet to respond to the killing of two of its citizens by the Israeli military over the past three weeks – the latest being Mohammad Abdul-Rahman Ayyad, 21, shot while driving his car near Silwad on Friday December 18th.On December 4th, Abdul-Rahman Wajeeh Barghouthi, 27, was shot and killed by Israeli soldiers in ‘Aboud village, west of Ramallah. Barghouthi was visiting his fiancee in the village and was walking back to his parents’ home when Israeli soldiers shot him. It should be noted that in June 2014, a gang of Israelis kidnapped and burned to death a 16-year old Palestinian boy, Mohammad Abu Khdeir after forcing him to drink gasoline. In the aftermath of that attack, a cousin of the 16-year old victim was badly beaten by Israeli troops during a protest in a Jerusalem neighborhood. The cousin, 15-year old Tariq Abu Khdeir, is a U.S. citizen from Florida who had been visiting his family when he was caught up by Israeli forces, beaten and imprisoned. At that time, after a pressure campaign from Abu Khdeir’s family and friends in the U.S., the State Department did call for an investigation. And in October of 2014, another Palestinian-American teenager, Orwa Hammad, 14, was killed by Israeli forces during a protest in the West Bank. A U.S. citizen who had been living illegally as a paramilitary settler, Ezra Schwartz, 18, was also killed in the latest round of violence – after allegedly being shot by a Palestinian in the militarized Israeli settlement ‘Gush Etzion’, built on Palestinian-owned land south of Bethlehem. During that incident, Israeli forces responded to the drive-by shooting by randomly shooting toward Palestinian vehicles in the road, killing a Palestinian passerby. Nearly 130 Palestinians have been killed by Israeli troops and settlers since October 1st, including the 2 U.S. citizens. There has been no statement from any U.S. official on the deaths of American citizens at the hands of the Israeli military over the past two and a half months of escalating attacks. In November, during a visit to Israel, U.S. Secretary of State John Kerry reiterated the U.S. government’s ‘unwavering support’ for Israel, despite the numerous attacks against Palestinian civilians and property, and the daily invasions of Palestinian land. Three of the alleged murderers of a Palestinian family, who were released from jail on Monday without charges, are also dual U.S.-Israeli citizens. They are suspected of illegally entering a Palestinian village in the dead of night and set on fire the Dawabsha family, killing the mother, father and two-year old, and critically wounding the family’s four-year old child.